Museum restaurants serve a captive audience, but—in the right hands—the art on the plate can live up to what’s on the walls. The phrase “lunch at the museum café” once meant dining on chilly, soggy sandwiches or overpriced Sysco soup, the café serving as pit stop of necessity rather than culinary attraction in its own right. 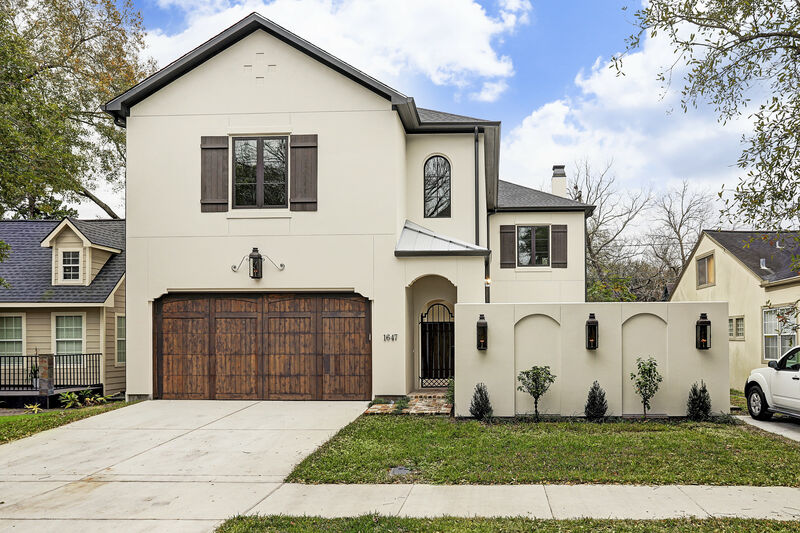 Finally, that’s changing for Houston aesthetes. 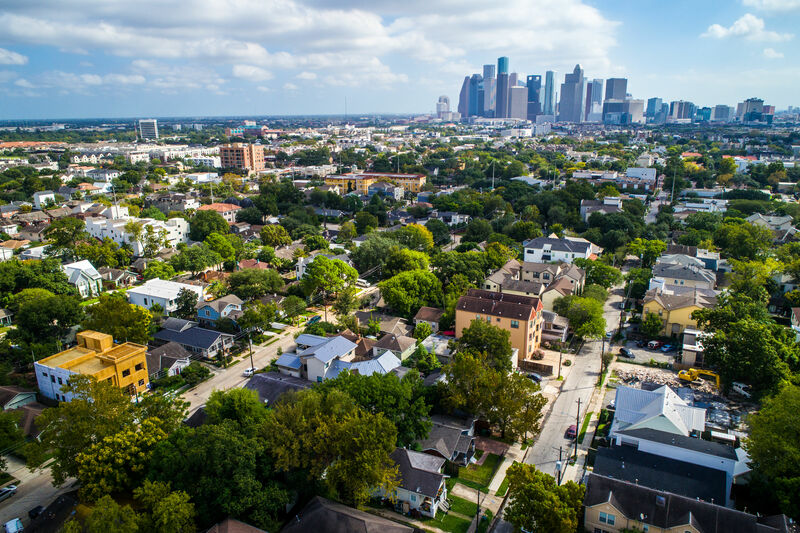 The Bayou City has been slower on the uptake of the international trend that’s produced both upmarket and downscale gems including the Michelin-starred Nerua at the Guggenheim Bilbao and D.C.’s cafeteria-style Mitsitam Native Foods Café at the Museum of the American Indian. 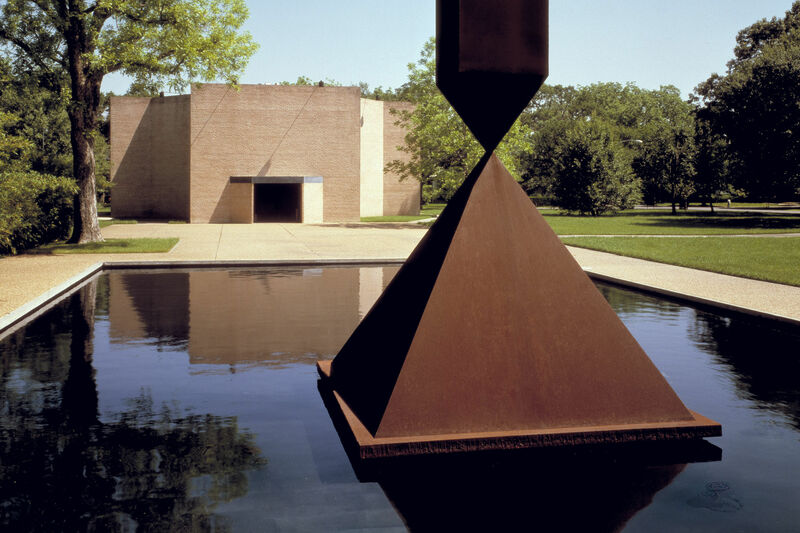 Until recently, the Menil Collection offered no eatery, while the Museum of Fine Arts had a Café Express. As for nearby options in The Museum District itself, the area has long been neglected by both restaurateurs and diners, with only a few notable entries over the decades. 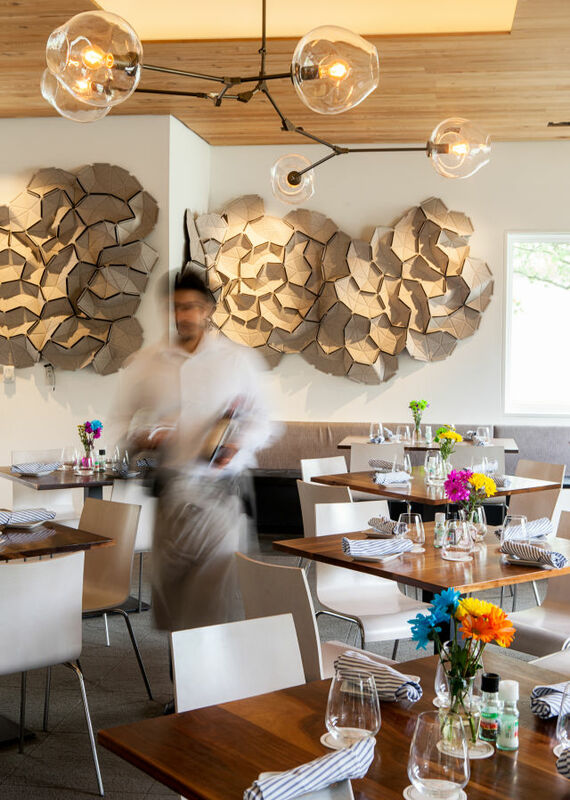 After chef-owner Greg Martin opened Bistro Menil adjacent to that museum in the fall of 2014, however, things began to change. Late last year, the MFA followed suit, trading its Café Express for MFA Café, a cafeteria-style Italian spot from former Fellini Caffè proprietor Paola Fronza. Even the McDonald’s that’s squatted inside the Museum of Natural Science since 1995 may not be long for this world—museum reps tell us that negotiations with the fast-food giant are ongoing. Whether or not that means another non-chain option for Houston museum-goers, there’s no question that our increasingly sophisticated diners have increasingly sophisticated demands. In the case of Bistro Menil, that translates to a restaurant with an idiosyncratic but crowd-pleasing aesthetic, one that complements the collection to which it’s attached. The spacious room, all picture windows and geometric installations, sets the scene, but most of the restaurant’s success owes to the outsized bill of fare: While the Menil Collection comprises close to 17,000 artworks, the dinner menu at the bistro is no slouch either, with 45 items to choose from not including the endless variations possible from Martin’s mix-and-match format. Usually, a menu of this many dishes simply means an excess of ambition on the chef’s part—or, in museum terms, a lack of curation. Not so at Bistro Menil, where Martin’s cuisine is simple and ingredient-focused but intensely flavorful. In his hands, a kale-and-quinoa salad, potentially among the most depressing of health foods, is an edible jewel box studded with multi-colored carrots, pattypan squashes and sugar snap peas, all cooked to a vivid crunch and mixed with crisp candied walnuts and dried cranberries for understated sweetness. Salads play a key role here, both as full meals for the artsy ladies who lunch, and as sides to Martin’s uniformly gluten-free proteins. 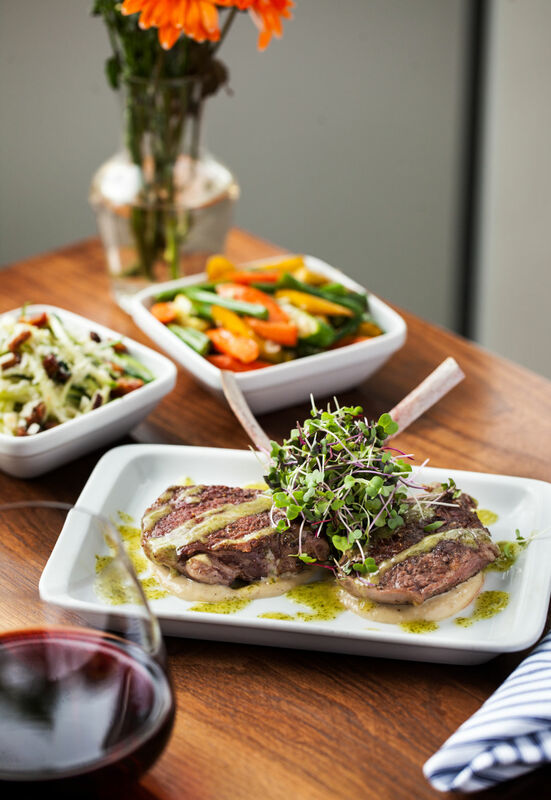 At $37 for two petite chops, the lamb is perhaps too expensive for the portion, but there’s no faulting the preparation. The artfully frenched ribs end in pillowy flesh that rests on an island of garlic aioli in a sea of bracing mint sauce. At the bistro, even "Le Brownie à la Mode" is a work of art. 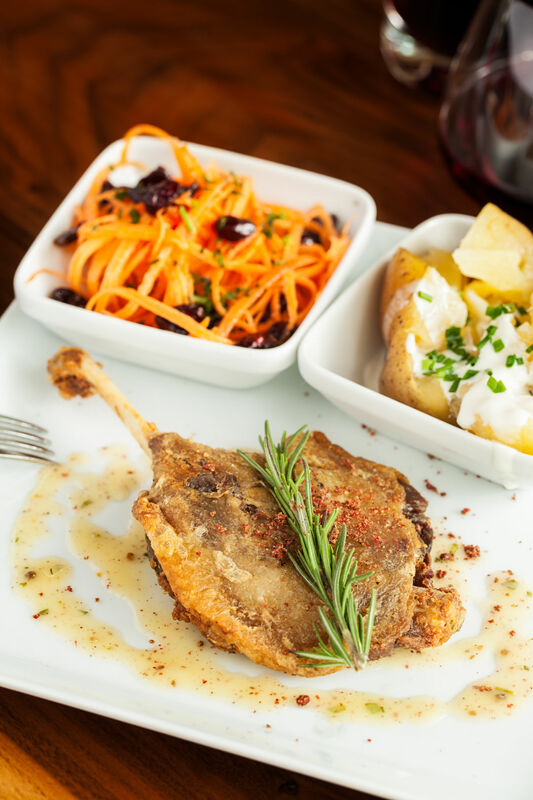 The $26 duck confit is still pricy, but a better value, with a well-sized baton of flawlessly crisped skin adhering to floppy, salty flesh. The salinity finds playful opposition in a lush puddle of appealingly sweet pink peppercorn butter. Sure, it’s all very grown-up and refined, but clearly, Martin doesn’t take his cuisine too seriously. 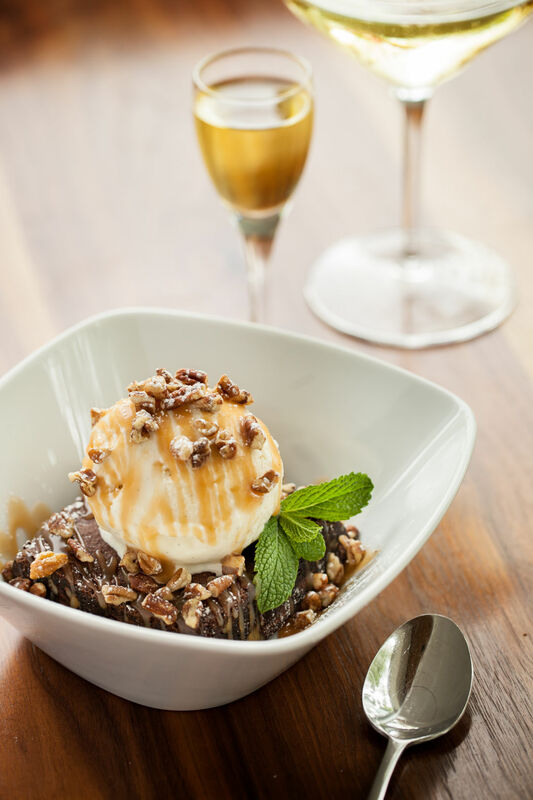 Dessert features a fudgy take on "Le Brownie à la Mode" with homemade ice cream. And certainly, few upmarket chefs would willingly cede control to their diners as Martin does by allowing guests to pair their entrées with a choice of any two sides. 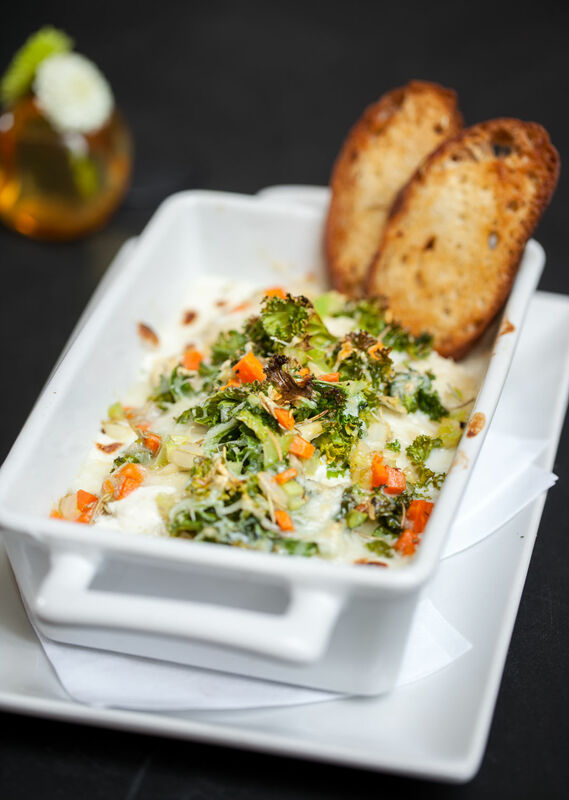 Basics such as mashed or baked potatoes or crisp, Euro-style frites are an easy option, but thoughtfully prepared veggies, often a challenge to find in Houston, are a particular forte at Bistro Menil. The carrottes râppées are a more luminous version of a typical carrot salad, while the description of “cold zucchini with Parmesan and pancetta” is accurate but does nothing to hint at the riveting complexity of the thickly grated veggies with fatty fixings in a tangy dressing. In an uncommon move, Martin himself selects the wines, mostly from smaller imprints, to best complement his cuisine. Eight of those are poured from casks, which not only prevents the roundly fruity selections from oxidizing, but also cuts down on the waste of packaging bottles. Tap beers further reduce food miles—most are from Houston, without a kölsch or witbier from farther afield than Austin. What Martin’s doing at Bistro Menil represents a departure from his previous post as the executive chef of Café Express, coincidentally the onetime foodservice provider at the nearby MFA. 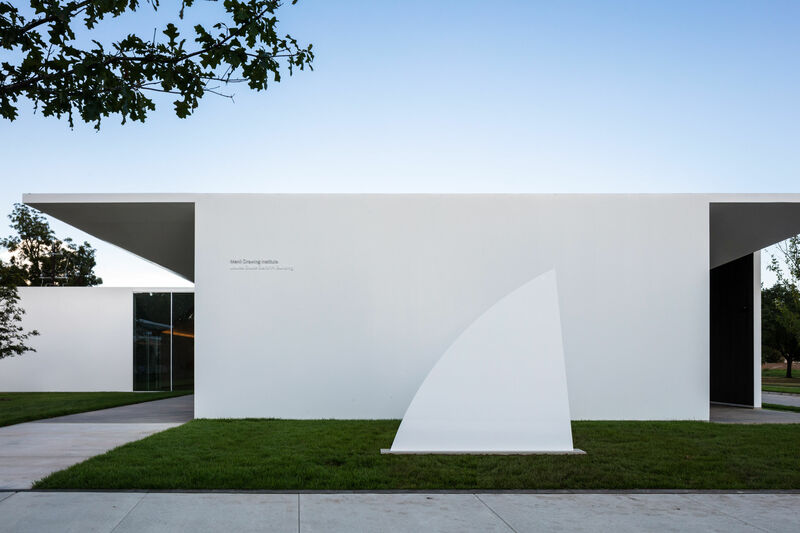 But while both the Menil and MFA have produced restaurants with artistic flair, in many ways, the comparisons end there. The restaurants’ goals are so different, comparing them would be like choosing between Magritte’s apple-centered The Son of Man and one of Rothko’s orange color fields. The MFA Café places visitors at tables beneath a massive Murano glass chandelier, yes, but they order at a counter and collect their own drinks and silverware, albeit alongside a case of Italian modernist pitchers and teapots. The café’s ambitions are clearly of a more pragmatic nature than those of Bistro Menil, as evidenced by prices that ascend no higher than $11.90. There’s no question that Fronza has upgraded the traditional museum breakfast-and-lunch spot, but the café doesn’t transcend the mold. Fronza recently brought on a new chef, Marlies Wasterval, late of Hollister Grill, who debuted a collection of more ambitious dishes, including blackened flatiron steak with salsa verde, after press time. 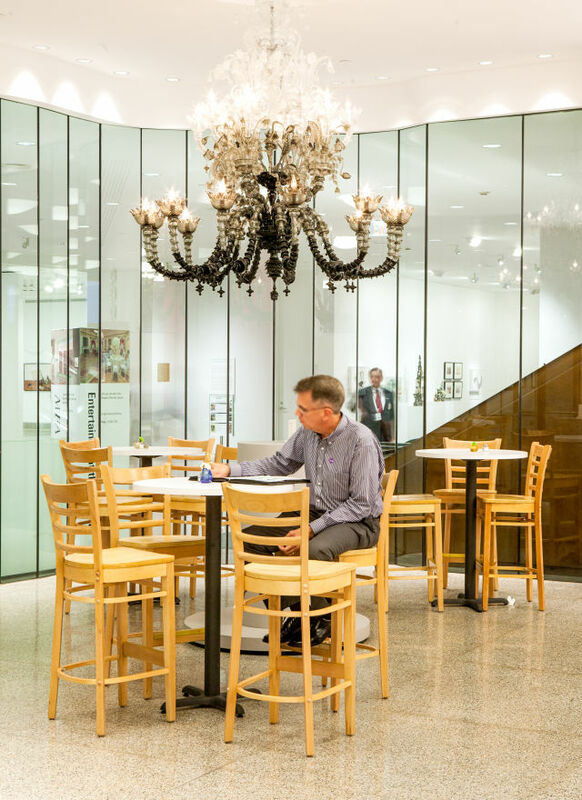 A Murano chandelier brightens the casual MFA Café. But the many dishes that remain from earlier iterations of the menu still require some finessing. A well-massaged kale salad boasts a zippy Caesar dressing, but the inclusion of chopped scallions—and one whole green onion on top—mars the flavor combination, which also includes Parmesan and toasted almonds. Tomato-basil soup, though likably creamy and acidic, is unblended, with chunks sometimes bigger than the spoon. And though the pizza dough is made in-house and allowed to proof for 24 hours, it hardly matters when a glut of cheese and sauce leaves pies sodden in a pool of grease by the time they hit the table. But the menu has winners, too. There’s a lovely lasagna Bolognese, and an even lovelier creamy mushroom version, a layered interpretation composed of tender carrots, kale and celery. Both are served in an individual ceramic pan that ensures more bites are crisp-edged than not. The panini are generously stuffed with cured meats including bresaola and prosciutto di Parma and held firm with melted cheese. Often, the kitchen is actually too lavish—if there is such a thing—with its gifts of cured meat: The prosciutto e melone salad was stacked so high with wads of prosciutto that the friend accompanying me took home a container filled with the leftovers after we finished our slices of almost-ripe cantaloupe. We didn’t complain, but for $8.50, we profited more than the café did. It seemed remiss not to try a sip of the Italian hot chocolate with my pleasant but excessively sturdy slab of warm croissant bread pudding. Since the menu described it as “a thick drink served with whipped cream,” I was expecting viscous, Euro-style drinking chocolate. What I got was intensely chocolaty, even slightly bitter, but thin, unintentionally summarizing the café as a whole: an artwork of great ambition and inspired ideas, though incomplete in execution.